Size of this preview: 800 × 600 pixels. Other resolutions: 320 × 240 pixels | 640 × 480 pixels | 1,024 × 768 pixels | 1,280 × 960 pixels | 3,264 × 2,448 pixels. 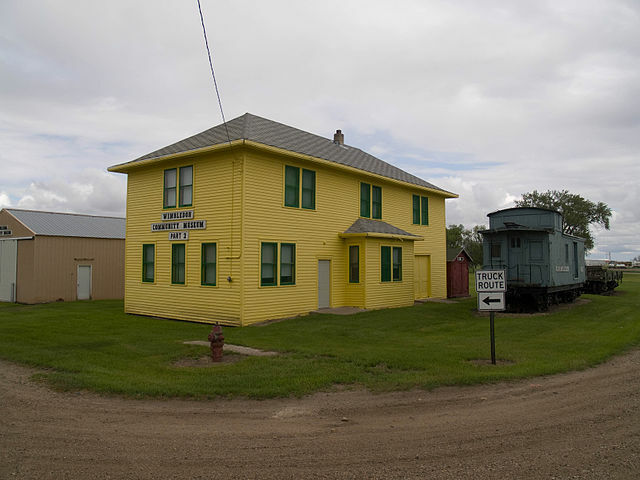 w:Midland Continental Railroad Depot in w:Wimbledon, North Dakota, listed on the w:National Register of Historic Places. This image, which was originally posted to Flickr, was uploaded to Commons using Flickr upload bot on 20 July 2013, 06:26 by TheCatalyst31. On that date, it was confirmed to be licensed under the terms of the license indicated.